The Quest for Double B - Whitetail Fix | Get Your Fix! 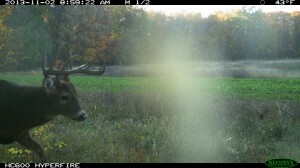 Every now and then a hunter will come across a deer that haunts his dreams, consumes his thoughts, and tests his sanity. This is the case with a deer I first came to know in 2011, a main frame 5×5 with a third main beam landing the name, “Double B”. 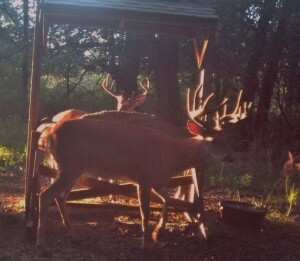 After getting pictures of the deer all summer, September 15th, 2011 rolls around. I find myself in a ground blind on a fresh cut corn field with good friend Worm, behind the camera. To my surprise, “Double B” is one of the first deer to step out. I settle my pin and launch what appears to be a perfectly placed arrow. After 5 days of searching, “Double B” was not to be found. It was at this point, I hung up my bow for the season. Being the first deer I had ever lost, it killed me to think I injured this deer or didn’t find him and he’s wasting away. Come to find out, this wasn’t the case in at all. There is much more to the 2011 season, but let’s jump forward to 2012. “Double B” had returned and the Reconyx photos were now revealing a main frame 6×5. 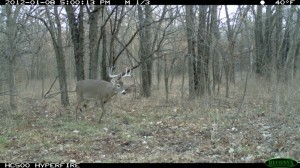 Although he survived the chaotic season of 2011, I had a new #1 “Fix List” buck known as “Bullwinkle”. “Bullwinkle” fell the 3rd week of September to my Bear Archery tackle (another story for another time). I now had my sights set on “Double B” but the educated 4 1\2 year old was a very hard deer to find! It wasn’t until a cold January sit that I finally laid eyes on this buck. Nothing was working in my favor for this hunt; he was too far, he had broken his G3, and I lost camera light. “Double B” was going to see 2013. Now 5 ½ years old, “Double B” was becoming extremely camera shy. Just out of curiosity, I placed a Reconyx on a bean field north of my house. To my surprise, guess who was my most frequent customer? I had put in some hunts; however, the farm was consuming my time. Before I knew it, we were rolling into November and Jason Bowers had arrived. 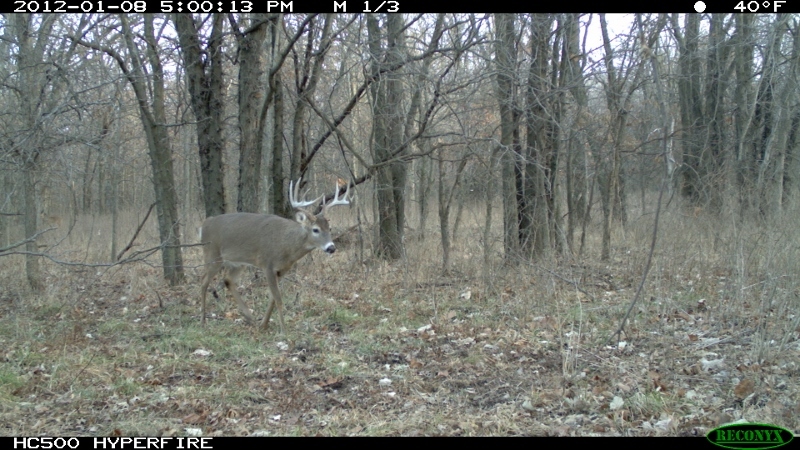 Jason was very familiar with my obsession over this deer and was pumped about running the camera. 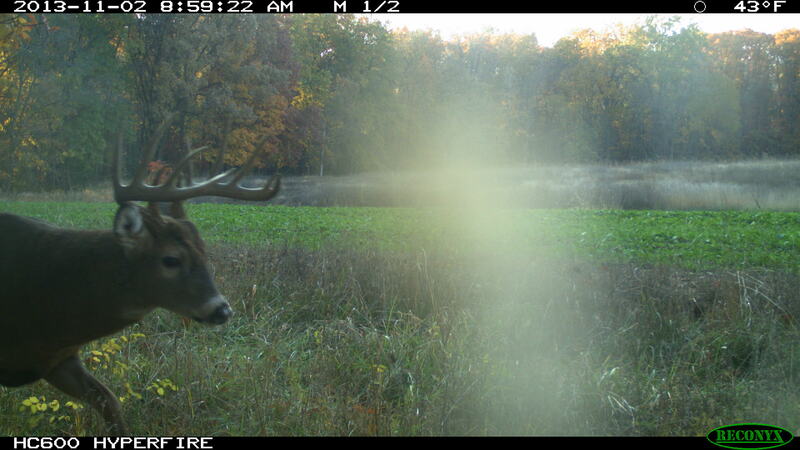 Shortly after Jason’s arrival, we had our 1st encounter with “Double B” on one of my green food plots. Hard to believe this is finally going to come together (was all I could think of) as I stretch the limbs on the Bear. Then Bowers utters those dreaded words, “Dude it’s too dark” !! If you have much experience filming hunts, you learn to hate those words. 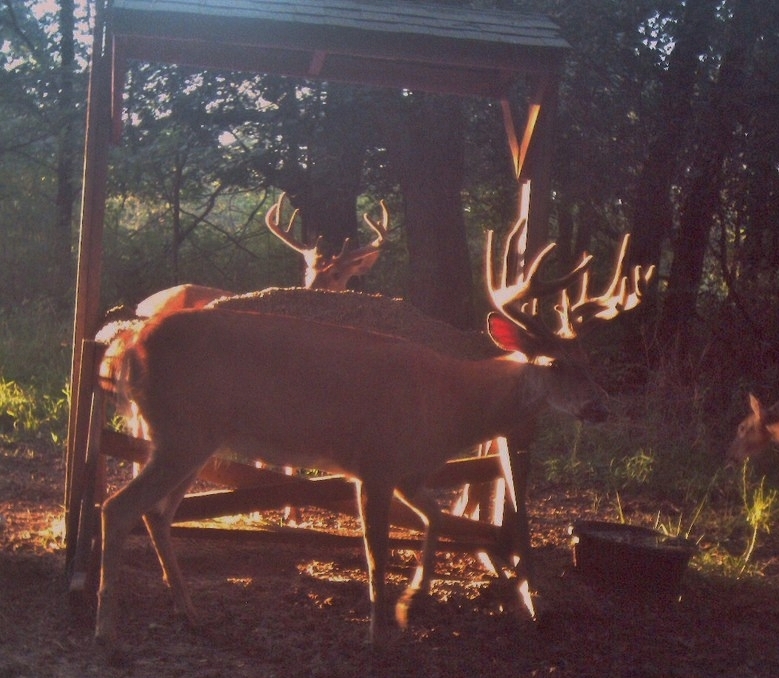 Knowing this deer’s home range and believing he is the “top dog” on the farm, I was hoping he wouldn’t go far. As luck would have it, he didn’t and my next encounter was on November 7th. But the story doesn’t end there; it’s now December 30th the story is still ongoing! It’s the craziest ride I’ve ever been on; a ride that has questioned by ability as well as desire to bow hunt. This story will end, but how?? It’s something you don’t want to miss. 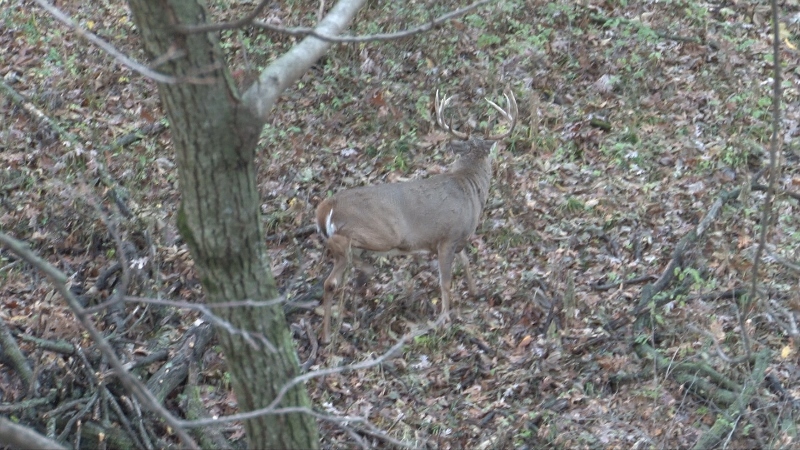 Watch it unfold on “Bear Archery’s Whitetail Fix” Season II. The new season starts Summer 2014 on the Sportsman’s Channel.